Antonovych, Dmytro [Антонович, Дмитро; Antonovyč], b 15 November 1877 in Kyiv, d 12 October 1945 in Prague. Art and theater historian, political leader; son of Volodymyr Antonovych, father of Marko Antonovych and Mykhailo Antonovych, husband of Kateryna Antonovych. 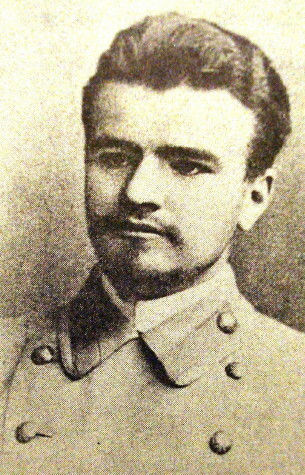 Antonovych was one of the founders and leaders of the Revolutionary Ukrainian party (RUP) in 1900–5, and, from 1905, of the Ukrainian Social Democratic Workers' party (USDRP). He served as the editor of several party publications—the journal Haslo (1902–3) and the monthly Selianyn (1903–5) in Chernivtsi, and, in Kharkiv, the newspaper Volia. From 1912 he taught art history at the Lysenko Music and Drama School and worked for the monthly journals Dzvin (Kyiv) (1913–14) and Siaivo (1913–14). An active figure in the Ukrainian Central Rada in 1917–18, Antonovych held the portfolios of naval affairs and the arts. During the period of the Directory of the Ukrainian National Republic Antonovych was the president of the Ukrainian diplomatic mission in Rome. He was an organizer and rector of the Ukrainian Free University in Vienna and Prague and a professor of art history there as well. Antonovych was the director of the Museum of Ukraine's Struggle for Independence in Prague for many years. 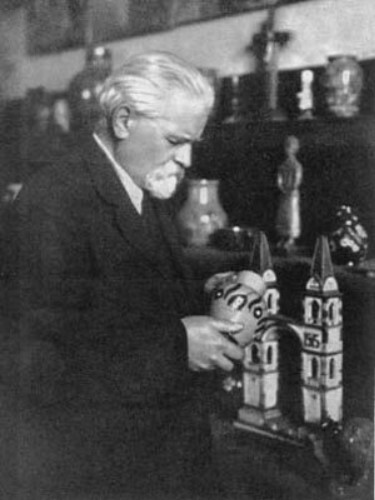 From 1923 to 1945 he was president of the Ukrainian Historical-Philological Society, and director of the Ukrainian Studio of Plastic Arts, both in Prague. His works include Estetychne vykhovannia Shevchenka (Shevchenko's Aesthetic Education, 1914), Ukraïns'ke mystetstvo (Ukrainian Art, 1923), Trysta rokiv ukraïns'koho teatru (1619–1919) (Three Hundred Years of Ukrainian Theater [1619–1919], 1925), T. Shevchenko iak maliar (T. Shevchenko, the Artist, 1937), and Deutsche Einflüsse auf die ukrainische Kunst (1942).